Learn how to keep your child, and other children, safe this school year during your morning commute. For children, getting to school on their own is one of their first forms of independence. If your kids ride the bus, you’ll be happy to hear that school buses are one of the safest forms of transportation for children to get to school - taking the bus is 13 times safer than riding in a passenger vehicle and 10 times safer than walking to school, according to the National Highway Traffic Safety Administration. The truth about school bus safety is that most children are injured when they are walking from the bus to school when they are hit by drivers illegally passing a stopped school bus. And children who bike to school are most likely to get injured by drivers who don’t see them or are not paying attention. For this reason, we have included safety tips and laws regarding sharing the road safely with school buses and bikes. School buses use yellow flashing lights to alert drivers that they are preparing to stop to load or unload children. Flashing red lights and an extended stop sign signal drivers that the bus is stopped and children are getting on or off. In all 50 states, traffic must stop in both directions on undivided roadways when children are entering or exiting the bus. On divided roadways, traffic behind the bus must stop. 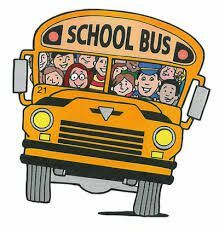 Make sure you stop your car far enough from the bus to let children safely enter and exit the bus – the area 10 feet around a school bus is where children are in most danger of being hit. Never pass a school bus on the right – it is illegal and extremely dangerous. Be alert when driving in school zones – and even in neighborhoods with children. Children are very unpredictable. The most common causes of accidents are drivers turning left in front of an oncoming bicycle or turning right, across the path of a bicycle. When making a turn in an intersection and a bicyclist is approaching, wait for the bicyclist to pass before making the turn. Always remember to use your turn signals. Check your side mirrors for bicyclists before opening the door. Some communities may fine drivers for collisions caused by opening a vehicle door in the path of a bicyclist. Watch for bicyclists turning in front of you without signaling, especially if the rider is a child. When passing a bicyclist in the same direction, pass them slowly and leave at least 3 feet between your car and the bicycle. For more Back to School Safety Tips, check out our first article on Playground Safety!